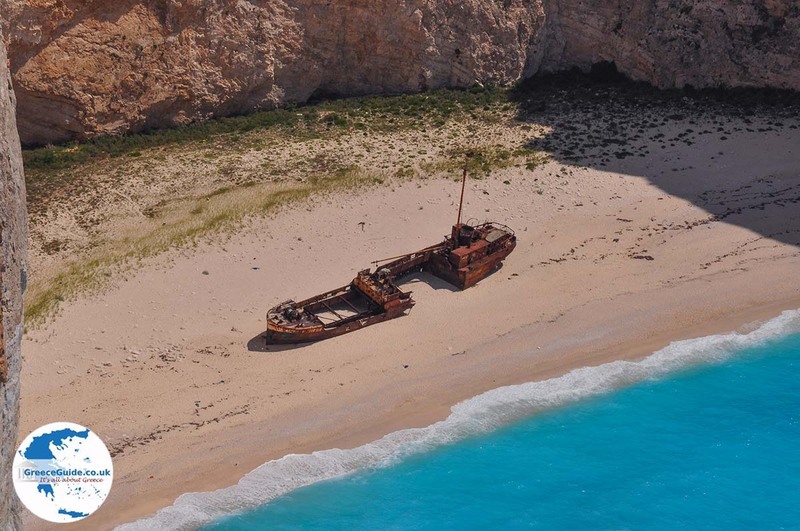 Ship Wreck Zakynthos (Navagio). 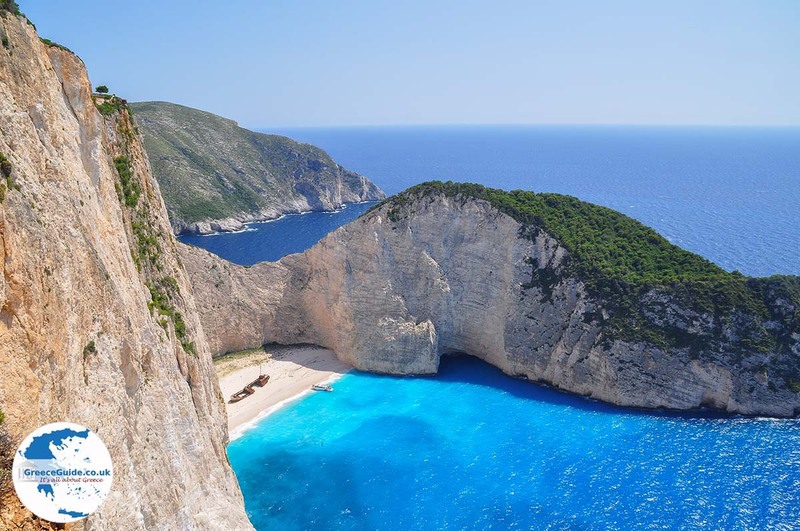 When you are on Zakynthos, then a visit to the ship wreck in the northwest of Zakynthos is an absolute must. 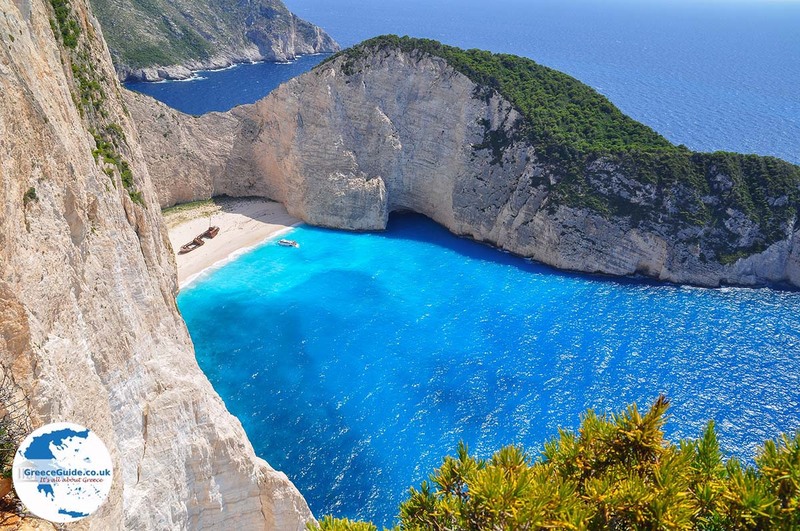 The Navagio (shipwreck) of Zakynthos is one of the most photographed sites, not only on the island but in the whole of Greece. The combination of the white cliffs, the bright turquoise water and the stranded ship on the white beach is very impressive. Each year thousands of tourists visit the beach. 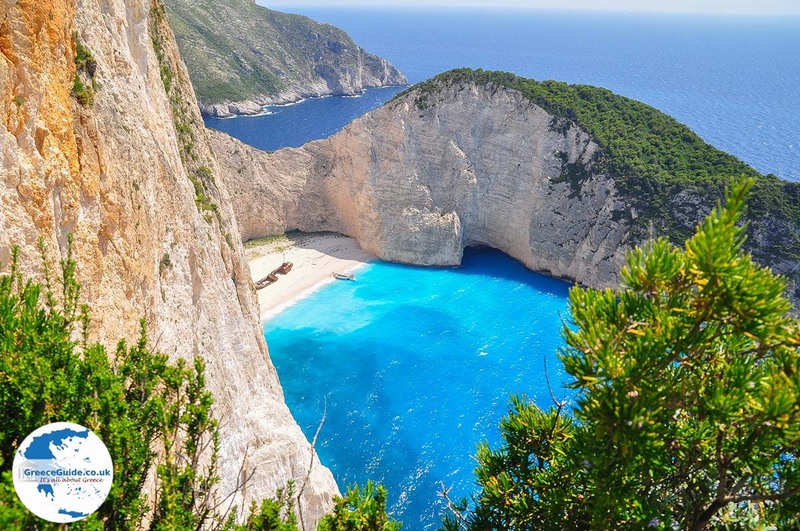 When we were on Zakynthos, we visited this beach twice; once with the car and once with a boat tour organised by Nefis Travel. 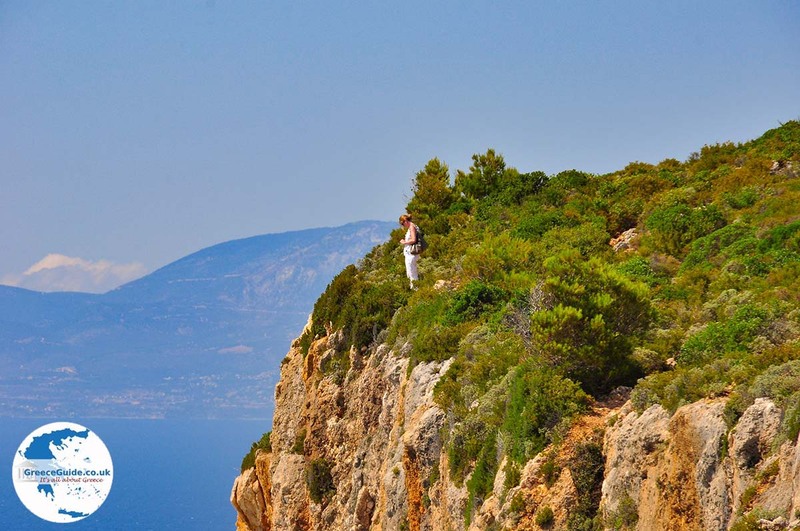 If you want to visit the Shipwreck by car, between Anafonitria and Volimes is a high viewpoint , 300 meters above sea level. 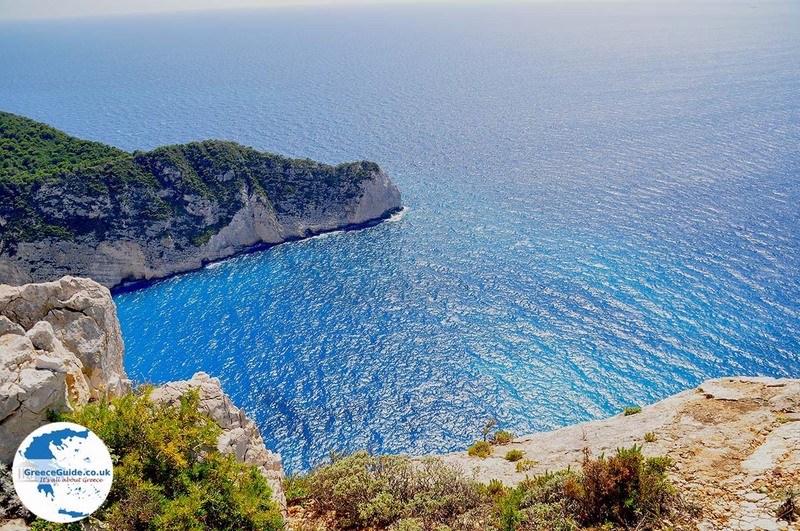 The distance from Zakynthos town to this location is about thirty kilometres, the view over the beach is incredible. The disadvantage of coming by car is that you can’t walk to the beach, but the panoramic view over the beach and sea will be an unforgettable experience. However, if you go by boat, then you can even walk into the wreck and swim in the beautiful sea. 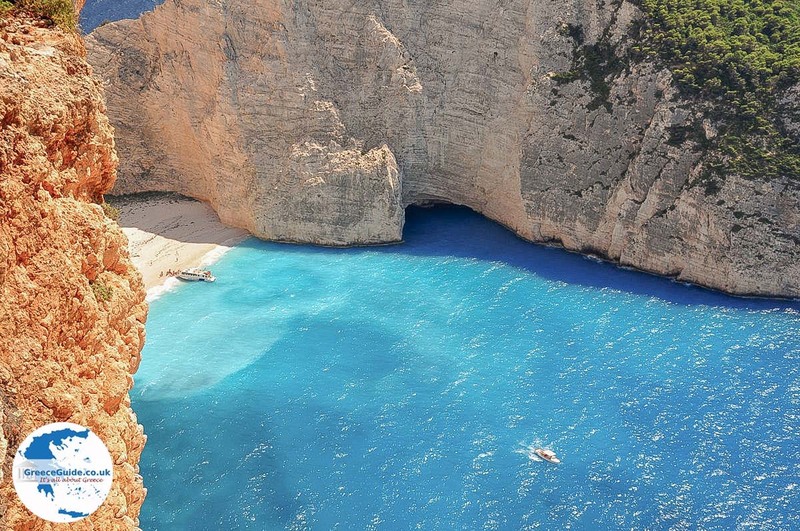 A boat trip to Navagio is very imposing because the view from the sea to the cliffs and the beach is fantastic! And I'm not even talking about all the other beautiful locations that you see during the boat ride. 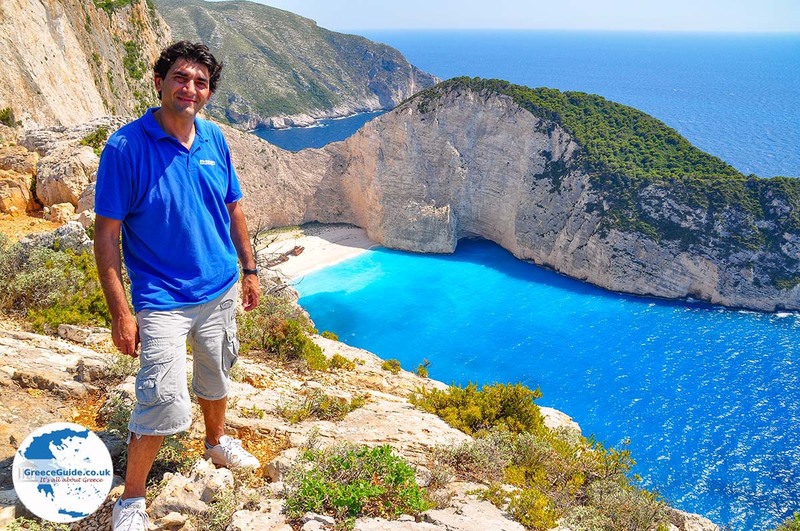 But what is the true story behind this ship wreck on Zakynthos? It happened in the year 1982. The small commercial boat "Panagiotis" had been in Turkey to load merchandise. But the goods were not just goods, but illegal cigarettes and liquor. The intention of the captain was to bring the goods into international waters to sell them. But when the boat approached Zakynthos, it got into trouble because the engine failed and because of the extremely bad weather. The captain could not control the boat, the ship headed into the rocks, capsized and ended up on the beach. Before this happened, the beach was called the beach of Agios Georgios. From the island, locals saw thousands of cartons of cigarettes floating on the water. They immediately took small fishing boats and arrived there to collect the goods. They saw how the crew of the boat swam away to escape the Coast Guard. It is said that after the accident, the inhabitants of the villages had for many months enough stock of liquor and cigarettes. Their party lasted for a long long time! 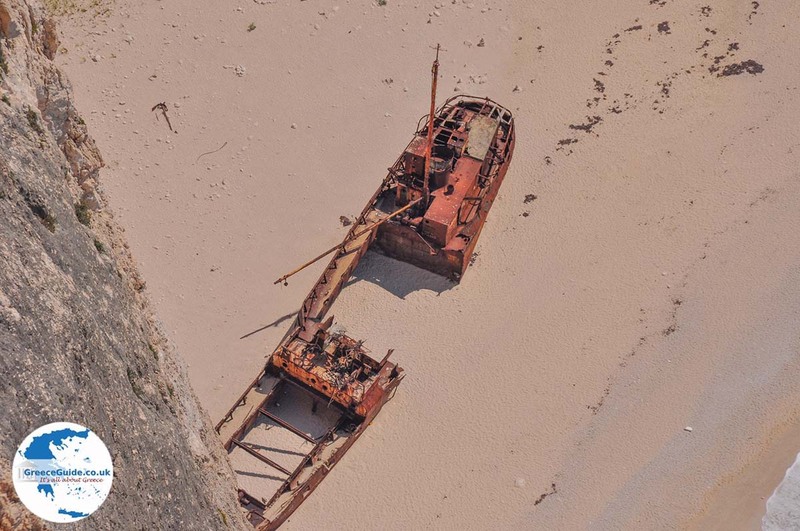 The Ship wreck, which had landed on the beach, was a problem for the municipal authorities, it couldn’t be taken away, for the simple reason, the beach was not accessible. Actually, they did not really know what to do with this. But the news about the capsized shipwreck was soon big news on television and in other media, the news was spread worldwide! The result, thousands of tourists wanted to see this, and then the penny dropped. “Wait a second! This is an attraction we must not take away," they thought on Zakynthos. 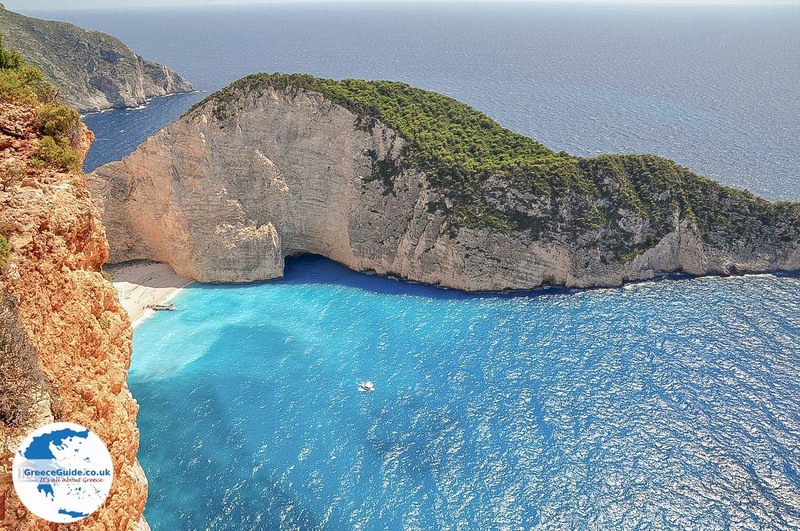 And so it was… Since then, the "Navagio", as Greeks call the wreck, is the most visited place on Zakynthos. 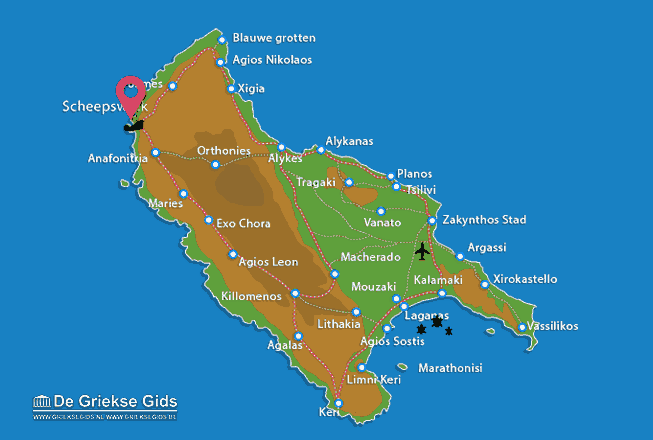 Zakynthos: Where on the map is The Ship Wreck located?